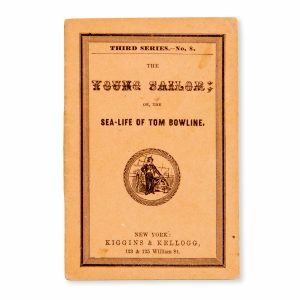 The young sailor, or the sea-life of Tom Bowline. Genève : André Kundig, 1970. 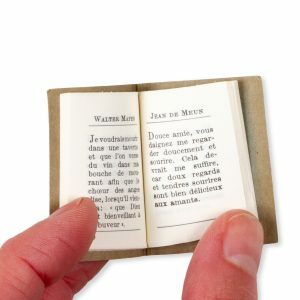 Miniature book (40 mm tall), gilt-lettered card wrappers, pp.96. 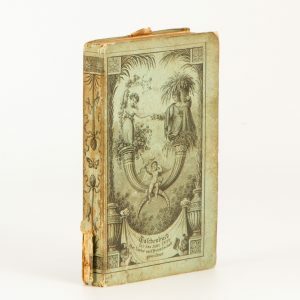 Taschenbuch für das Jahr 1824. Der Liebe und Freundschaft gewidmet. 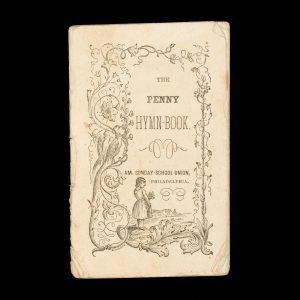 Philadelphia : American Sunday-School Union, [c.1850]. 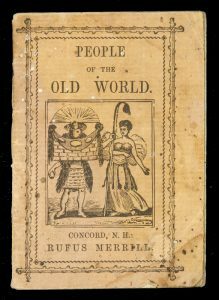 Duodecimo (110 x 70 mm), woodcut illustration to upper wrapper; 32 pp; lower wrapper with publisher’s advertisements; corners dog-eared, paper tear at tail of spine, small toning spot at fore-edge of several leaves, otherwise internally clean and sound. 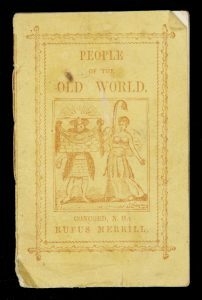 Philadelphia : American Sunday-School Union, 146 Chestnut Street, [c.1850]. Duodecimo (110 x 70 mm), woodcut illustration to upper wrapper; 16 pp, woodcut illustration at head of text; lower wrapper with ‘A Hymn’; wrappers foxed and re-stitched; contents with scattered foxing. Nappanee, Indiana : Press of the Indiana Kid, 1987. 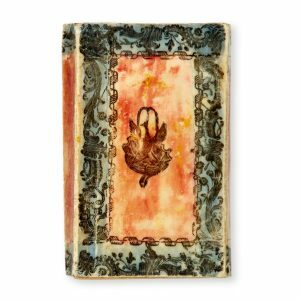 Miniature book, marbled boards over calf, gilt lettering on spine, pages uncut, pp 45. 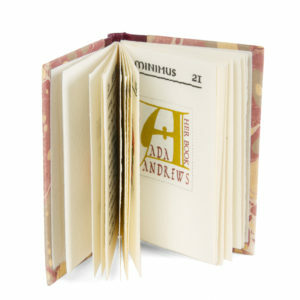 Private press publication, limited to 60 copies, with 27 bookplates throughout. Our Christmas festivities – get out of the way! (title taken from lead image). 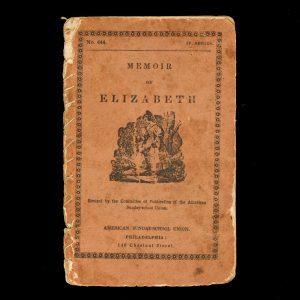 London : J. T. Wood, 1859. 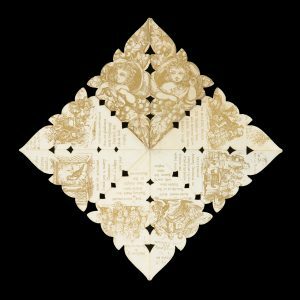 Diecut ephemeron, 162 x 162 mm, folded to 115 mm., forming a shapebook, printed recto and verso in gold, with 14 vignette illustrations illustrating poems celebrating Christmas. Charming. 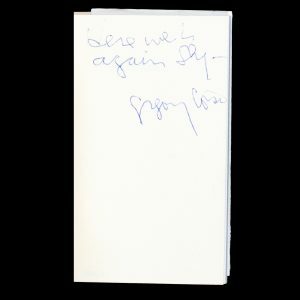 [London] : Narbulla Agency, c. 1970s. 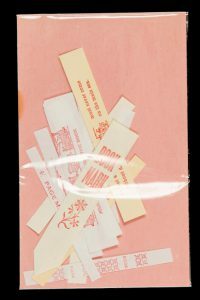 A small packet sealed in plastic of about 10 miniature bookmarks for miniature books, each different and printed letterpress. Clearly essential for even the smallest reader.